Kate Humble is known for presenting wildlife and science programmes predominantly for the BBC. In 2012, Humble by Nature was launched involving Kate and her husband running courses in food, rural skills and animal husbandry based on a working farm in Monmountshire. 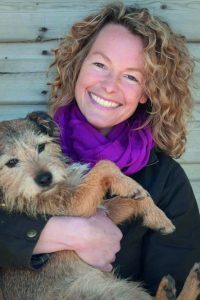 Never one to shy away from nature and wildlife, Kate Humble recently launched a line of luxurious, natural bath & beauty products – Humble. The products were created after Kate became increasingly aware of the pollution and environmental impact that toiletries and beauty products had on the world, not only that but surely there were alternatives to the harsh chemicals found in so many skin care and beauty products we use every day. Humble products were created so you could spoil yourself without spoiling the world. They are carefully created with natural, biodegradable ingredients, no parabens or SLS and with recyclable packaging made with recycled materials where possible, so even after you’ve used them there is still no harmful impact on the environment. Humble also designed the concept of Beauty Miles in order to promote the use of locally sourced ingredients where possible. Rather than shipping components, materials and ingredients from overseas, Humble strives to use British grown and British made to reduce their products Beauty Miles, reduce their carbon footprint and avoid harmful environmental impact. Right now we have two beautiful fragrances available, Rose & Frankincense and Sweet Pea & Verbana, in products like body wash, body lotion, hand wash and hand lotion, along with some gorgeous gift sets. Have you already given Humble a try? Let us know what you think in the comments below!